LaDawn Sullivan chairs the board of Community Investment Network, which is one of the organizers of Black Philanthropy Month 2013. Sullivan works in philanthropy as manager of the Strengthening Neighborhoods Program at The Denver Foundation, where she joined the staff in 1997. 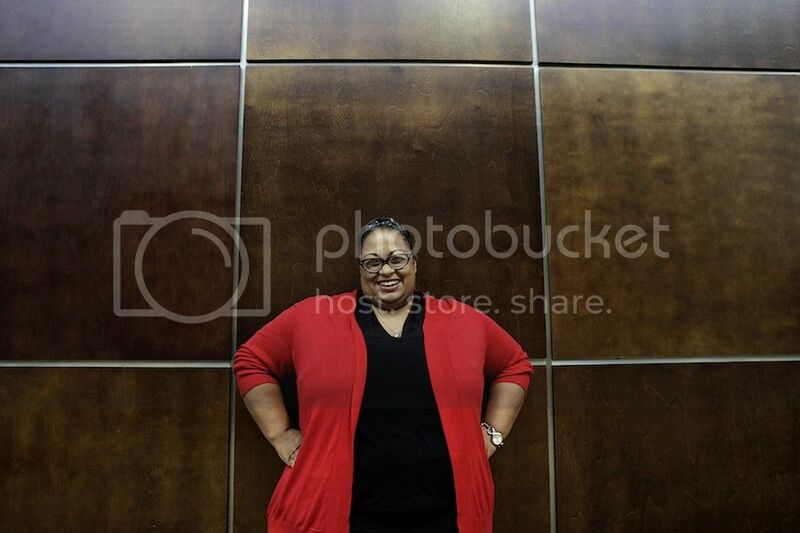 She currently oversees the Foundation's Giving Circle Initiative and Executive Directors of Color Program. She also serves as chair of Colorado Blacks in Philanthropy and is vice president of Denver Chapter of Links, Inc.
Sullivan has a special interest in the preservation of African American history and culture in Denver. Hometown pride has her excited about sharing that history with visitors during the CIN 2013 National Conference, October 3-6. Themed “Beyond the Mountaintop,” the conference is designed to provide donor education for people of color and to support the growth, health and impact of giving circles. The mother of two sons, Dallas, 19, and Darius, 15, Sullivan enjoys reading and bargain hunting and also is an accomplished singer. Below are her responses to our “Of Dreams and Mountaintops” interview questions. Black philanthropy is the heart and soul of our community—the very space where we proudly invest our best, in terms of time, talent and treasure. As I sit beside my two Black teenage sons every night to watch and discuss the news, I am sad to report we took a huge leap forward in 1963 and in 2013 we are two steps back. Racism and injustice have not gone away; they have just been modernized by some and adapted by us. As my grandmother stated, Dr. King's speech did not magically change the embedded hatred for Blacks in this country, it illuminated it to the world that brought excruciating pressure for change. But that change has yet to take full effect. I dream of a community where my investment in those around me, and they in me, transforms how we see ourselves as change agents. My hope is that, collectively, we are able to give the best of ourselves to build on the positive activities in our community, resolve issues and raise the bar for those who come behind us. Since I started participating in the Community Investment Network Conference six years ago, I have worked hard to bring back everything I've learned to Denver. In 2012, I quietly helped two giving circles form: (1) Denver African American Philanthropists - Black Men Giving with a Purpose and (2) The White Rose Foundation. Both circles yield unique opportunities and connections with the community and the community foundation. On a personal note: Since 2010 my sons and I have set aside $50 a month that we use to purchase food to donate to a local food pantry. To stretch our dollars (and improve their math skills), we began extreme couponing. Our biggest savings was over $70 dollars (that's $120 in donated groceries) and 14 free tubs of butter! This was a great way to introduce philanthropy to my sons. Donating to the food pantry provided experiences to engage directly and also to be strategic by leveraging what we had to give through our relationships with others. We often gathered more coupons to double our original goal. Sadly, the pantry closed recently, so we're looking for a new way to give collectively. Click here for more information on the 2013 National Conference of Community Investment Network taking place in Denver, CO. To get involved in BPM 2013: An August of Dreams and Mountaintops, visit BlackPhilanthropyMonth.com.